mathematics Related Most Question With Answer Set 259 Current Affairs, Aptitude And Join the best Online Test Series & get all India Rank, Logical Match. 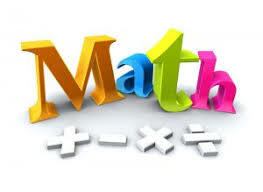 Logical Problems · Number Series · mathematics and LCM & HCF, important Question & Answer with solution & Formulas in Hindi & English And Important Questions with Answers to Numerical Ability asked in Gramin Bank Office Assistant Exam And These all questions will very helpful to you for the forthcoming Bank exams, SSC CPO SI Delhi Police and Rajasthan Police and All Competitive Examination. Question(1) Rs. 8690 But what is the difference between simple interest and compound interest at 8% annually in 4 years? 8690 रू. पर 4 वर्षों में 8 % वार्षिक दर से साधारण ब्याज तथा चक्रवृध्दि ब्याज का अंतर कितना होगा ? Question(2) A has to pay Rs 7200 B was given 12% yearly simple interest rate for two years. B gave that amount to C for the same amount at 6% higher rate. If at the end of time, B, A and C will give loan to L, then B will have an additional income of the total amount? A ने 7200 रू. B को दो वर्षों के लिए 12 % वार्षिक साधारण ब्याज दर पर दिये | B ने उस राशि को 6% अधिक दर पर उतने ही समय के लिए C को दे दिया | यदि समय की समाप्ति पर B, A को तथा C, B को कर्ज लोटा दे तो B को कुल कितने रूपये का अतिरिक्त आय होगा ? Question(3) At the rate of 5% annual interest, in 2 years, the amount of ordinary interest on any amount is Rs. 1200. So, what will be the amount of compound interest in the same rate and the amount of money at the same time? 5 % वार्षिक ब्याज की दर से 2 वर्षो में किसी राशि पर साधारण ब्याज की राशि 1200 रू. है, तो उसी दर तथा धनराशि पर उतने ही समय में चक्रवृध्दि ब्याज की राशि क्या होगी ? Question(4) Shanu and Ravi Rs 1800 respectively And Rs 2400 Applying for simple interest for 4 years and 3 years respectively. If the total amount of ordinary interest is Rs 1152 If there is a ratio of 3: 5 in the rates provided by him, then what is the rate of interest given by Shanu? शानू और रवि ने क्रमशः1800 रू. और 2400 रू. क्रमशः 4 वर्षों तथा 3 वर्षों के लिए साधारण ब्याज पर लगाया | यदि साधारण ब्याज की कुल राशि 1152 रू. हो तथा उसके द्वारा प्रदत दरों में 3:5 का अनुपात हो, तो शानू द्वारा दिया गया ब्याज का दर क्या है ? Question(5) The value of a machine is 16% per annum in value, in 1997 it costs Rs 7,408. Had it been worth three years ago? किसी मशीन के मूल्य में प्रतिवर्ष 16 % की अवमूल्य होती है यदि 1997 में उसका मूल्य 74088 रू. था, तो तीन साल पूर्व उसका मूल्य क्या था ?